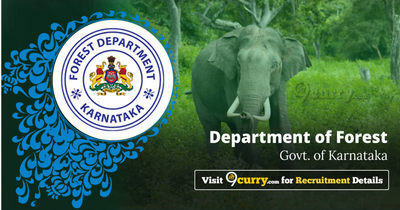 Karnataka Forest Department Answer Key 2018: Forest Watcher Revised Final Key Answer 2018 is available now for Karnataka Forest Department Forest Watcher Revised Exam- 2018. The exam was organized by Karnataka Forest Department . Karnataka Forest Department Forest Watcher Revised Final Key Answer 2018: Karnataka Forest Department has issued the Answer Key on 15 Nov 2018 for Karnataka Forest Department Forest Watcher Revised Exam- 2018. Answer Key can be accessed from the link given below. Karnataka Forest Department Forest Watcher Final Answer Key 2018: Karnataka Forest Department has issued the Answer Key on 27 Oct 2018 for the exam. Answer Key can be accessed from the link given below. Karnataka Forest Department Forest Watcher Exam Answer Key 2018: Karnataka Forest Department has issued the Answer Key on 11 Oct 2018 for the exam. Answer Key can be accessed from the link given below.